CARITA BEACH, Indonesia (AP) ? The deadly tsunami struck in the dark, without warning. 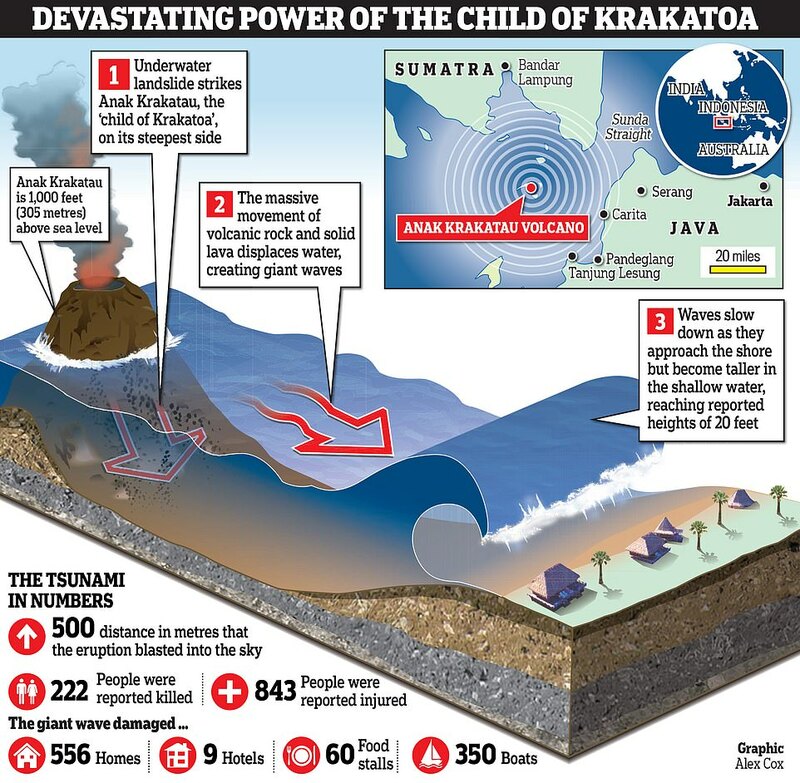 At least 222 people were killed as waves smashed into houses, hotels and other beachside buildings Saturday night along Indonesia?s Sunda Strait, in a disaster that followed an eruption and possible landslide on Anak Krakatau, one of the world?s most infamous volcanic islands.